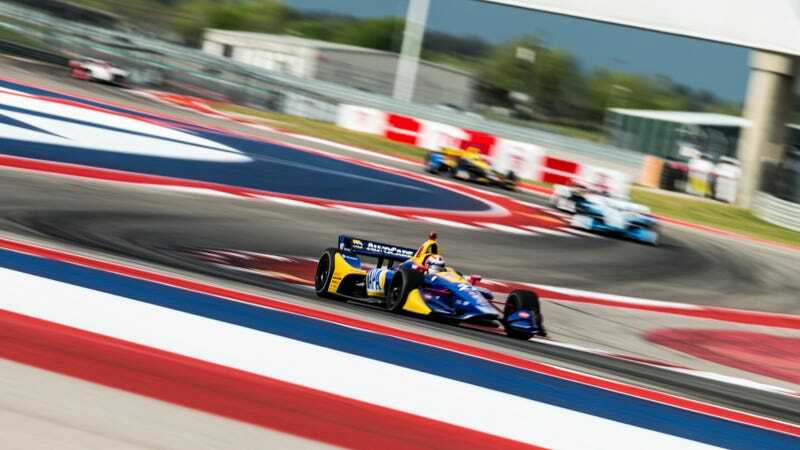 This is IndyCar’s first time running at the famed Texas circuit, and it comes as no surprise that all of the racers are scrambling for as much time to familiarize themselves with the new track as they can. With one of the sessions on Friday basically nulled thanks to an engine explosion (when was the last time a proper engine grenade happened in IndyCar? The Lotus motors?) which caused a red flag for 45 minutes of timed running. Friday ended with Will Power atop the charts, but Saturday morning’s final practice saw Alex Rossi barely faster, setting the pace ahead of qualifying this afternoon—happening now, actually. For now, revel in the fact that top-flight American open wheelers are racing at what is unequivocally one of the best racing circuits in North America. COTA rules. IndyCar rules. These photos from Kurt Bradley also rule.